Riding is all about motion, both how the horse's motion assists us and how we assist the horse's motion. horses tend not to give their best when being ridden isn't enjoyable for them. If the horse has the ability and the interest, influencing them is only a matter of assisting them to get the job done. As the name implies, most of this book is concerned about the rider's seat and how the rider uses that seat. Schmitt defines the seat as that area of a rider's body which comes in contact with the horse — or the saddle — from one knee around to the other knee. This is the greatest part of the rider's body which enables the rider to both feel what the horse is currently doing and influence what it will do in the future. 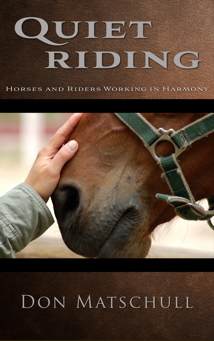 In this book, Schmitt provides riders various ways to evaluate their seats both at a stand still and when moving. Motion is very important when riding, so a rider should strive to achieve maximum freedom of movement. This involves balance. There is a skeletal arrangement that does not require any muscles to clench at all, although some may do so just out of habit. Balance and good posture come at least as much from releasing muscle contractions so bones can line up the way they are designed as from contracting muscles to hold bones in place. There is a big difference between adopting a pose versus providing yourself free range of motion so we work with gravity instead of against it. Muscular release can be more important than muscular flexion. It is important in allowing our bodies to extend downward. It is easier to lengthen your legs down horse's sides by releasing muscles around your hips, knees, or ankles so that your weight drops into the stirrups than it is to shove on the stirrups or to reach for them with your toes. It is also important in allowing our bodies to extend upward. It is easier to sit taller by releasing the muscles around your gut and rib cage than to hike your chest up again and again. It is much easier to influence the movement of a horse than to make the horse move a certain way. Riding is all about using to our advantage the movement of an animal built to shift half a ton with every stride, instead of trying to overcome it, as if that were even possible. . She stresses the importance of addressing this early in the riding experience so riders don't have to unlearn things that have become habits. A rider with a more receptive seat would be aware something was up earlier in the game, and he could take care of small problems instead of waiting for them to get worse and harder to deal with. When a rider moves with the horse, the horse is free to move better. As the horse gains trust that it will be allowed to move its back without disturbance, its back can start to supple and strengthen, which will make all of its work easier and more athletic. When a horse moves better, our riding experience becomes better. Sitting a horse that has a mobile, supple back is like riding a wave. A horse with a well–developed, active back is a dream to sit even at full extended trot. Supple springiness in all limbs and the horse's back greatly moderates the concussion when the horse's feet return to the ground. A good seat allows us to better feel the movements of the horse. This allows us to refine how we communicate our desires to the horse. The better we understand the horse's movement, the more easily we can communicate how we want it to change. We can begin to use true aids rather than simply cues. This involves proper timing. Our timing when we apply aids can make a tremendous difference in the message we convey to the horse. Schmitt helps her readers understand both the footfalls and the phases of the various gaits so they can understand how these movements relate to one another. The phases when the gaits are most similar are the best times to influence the horse to change from one gait to another. With a clear understanding of what horses are doing at each of the basic gaits, we can use dance–like communication with the horse to change from one to the other (transitions between gaits) or to change the length and height of the strides within each gait (transitions within the gait or tempo changes), and any of the other movements various sports call for. Another aspect covered in this book is the importance of proper preparation before expecting a horse to respond to our desires. When gymnastic development comes first, accuracy and obedience and therefore performance and safety will improve as the horse becomes more physically able to comply with our aids. Other aspects of riding covered by this book are the different types of aids and the coordination of aids. For example: The difference between a limiting aid and an active aid is that limiting aids do not agree with something the horse started; active aids encourage something we do want. And regarding the coordination of aids, Schmitt points out that combining seat and leg aids creates a greater influence than using only one or the other. A seamless seat has three significant advantages: comfort, good diagnostics, and clarity of communication. 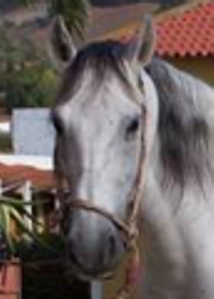 a seamless interface with the horse means our messages can be more clearly understood by the horses as messages, and our horse would be more responsive to lighter aids.